You are here: Home / Aerial Video and Photography / Did your Drone Crash? Maybe it’s not your Fault! Sales of these drones have skyrocketed and with increased sales come the inevitable…new pilots who experience a mishap and end up with a broken and/or lost quadcopter. Any long term participant in this pursuit understands the sinking feeling you get when hundreds of dollars seems to be lost in a few seconds…and it’s usually not long before the fingers of blame start to be pointed. For the purposes of this discussion, we can simplify these and perhaps provide some examples. The basic concept is this – there is a scale…and each and every drone crash and/or loss falls somewhere on that scale. Very rarely does the truth come down to 100% on the right side of the scale…although many times crashes can be 100% “Your Fault”. Aside from those occurrences, most mishaps fall somewhere along the line – there is some shared responsibility. Parrot AR Drone and BeBop – We tested 3 Parrot drones in 2013-2105 and ALL of them flew away and crashed…many of them multiple times. Many others have had similar experiences, often relating to the Parrot method of control though a smart device wireless signal. Based on both personal experience as well as the experiences of many others, if your early AR Drone or BeBop (or even their toy Rolling Spider) flew away and crashed, chances are that it is mostly the fault of the maker. It is possible newer models have been improved as we have not tested a Parrot product in over a year. Early DJI Phantom 2 w/GoPro and Gimbal – The first models of the Phantom 2 (w/zenmuse gimbal) had a shortcoming in the positioning or shielding of the GPS which resulted in some of them losing their GPS fix and drifting away and/or crashing. It is assumed that the RF (radio freq.) interference from the GoPro and the Gimbal may have contributed to this. Newer models of the same Quadcopter featured improvements. In this example we have a system where the GPS did not serve it’s purpose…which would seem 100% the fault of the manufacturer. However, there is another factor involved – DJI provides a “manual” ATTI mode which is very simply to activate. 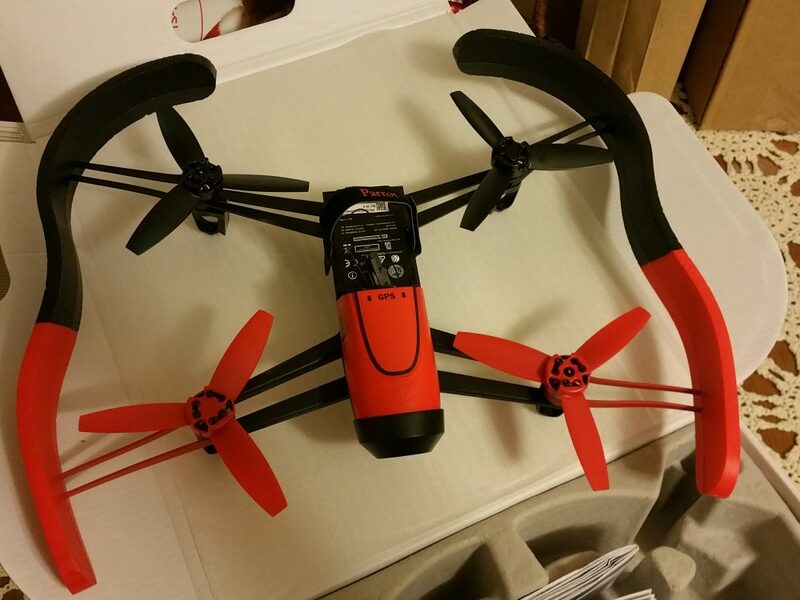 This bypasses the GPS and allows a pilot to manually fly the drone. If we assume that this would have saved a drone from crashing, then some of the fault may be due to an unskilled pilot. Another factor becomes where the machine was being flown – the chances of loss of GPS (and resulting loss or crash) is much greater if the pilot was flying in an Urban area and/or if the pilot was flying very far from their home point. Yet another additional danger is flying over water – where the loss of the machine means a total loss, instead of a rebuild or parts replacement. Depending on the exact scenario – assignment of fault on the above could be 50/50 or skewed more toward the pilot or the manufacturer. Another DJI example would be various bugs that have affected the battery in Phantom 3 models. This bug caused crashes (battery cut-out) when pilots decided to fly (start) missions with less-than-fully charged batteries. A pilot like myself would never run into this bug because I never fly without a fully charged smart battery – but quite a few users experienced this bug before DJI quickly fixed it. What did DJI know and how quickly did they act? What is the responsibility of the pilot to keep up with online forums where these problems were bring reported? Should (and did) DJI have informed all users through the app or their email list? 3D Robotics (3DR) Solo – This model was released to the public with many defects in software and hardware, some of which may persist to this day. Most troubling among them are/were a weak “single band” GPS as well as a tendency to flip on landing and continue to run the motors (no shutoff or that feature misbehaving). The only way around some of these problems was for the owners to learn various tricks of “manual flight”, which seems ridiculous for a modern GPS equipped “smart drone” (their marketing description). 3DR markets the Solo as “anyone can fly it”. For Beginners and Experts alike…in their words. 1. Loss of GPS – in mid-air, at any distance, the operator loses a GPS fix and the Solo floats or flies away since most pilots are unable to quickly switch to – and operate with – manual control. 2. Flip on Landing, Drifting away – this may be a fault in the GPS combined with hardware defects and/or programming…it’s hard to nail it down. I do know of skilled pilots who were unable to stop this behavior. Certain, as with any other drone, there are 3DR Solo crashes which are the fault of the pilot – but those caused by the above defects are, IMHO, 90-100% the fault of the maker. 3DR manufactured a slightly modified GPS board in late 2015. It is unknown as to what degree this may have mitigated the problem(s). 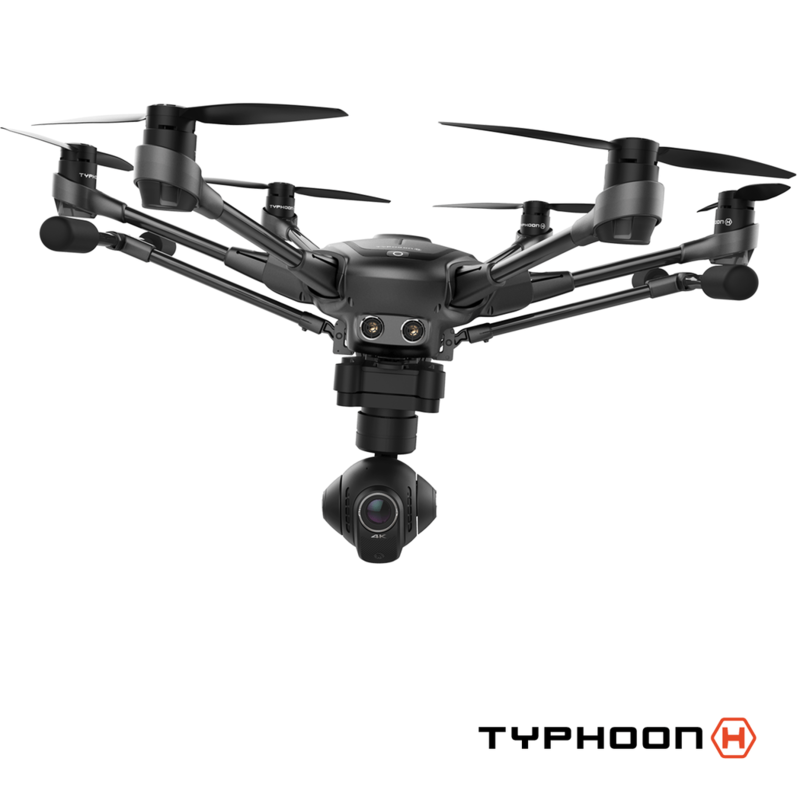 Yuneec Model H – Yuneec is the #2 Camera Drone maker (after DJI) and recently released a Hexacopter (6 rotors) which is proving very popular. However, as with any popular and/or new model, crashes and losses seem to be occurring all too often. There are various reasons for these crashes. As one example, the Yuneec models feature a so-called “Smart-SAFE” mode which creates a 25 foot circle around the operator where the drone cannot fly or land. Those unfamiliar with this mode have watched in horror as their new Drone speeds away from them and crashes into a house or fence…because they started up or attempted to land within the SAFE circle. This is one of those situations where skilled pilots point the finger at the operator and say “it’s your fault”. But is it? There are other factors at play here. First, if this mode is easy to switch into by accident (it is), then maybe Yuneec has not properly designed their hardware and software interface? Also, many have complained the the documentation (manual) is very poor and incomplete. If this “SAFE” mode is actually unsafe and causing mishaps – should it be removed? I’m not a lawyer and I don’t have the data…BUT, if I were in a court of law, this is the question I’d be asking the experts. Another current Yuneec shortcoming is the lack of an adjustable RTH (return to home) setting. The low default setting could easily make the drone crash into trees, buildings, cliff or other obstacles. When it does – whose fault is is? The operators for flying the drone where the RTH kicked in…or Yuneecs for having a poorly set and non-adjustable default Return to Home setting? In most of the above we can see that the education and the skill level of the pilot is an important factor. On the other hand, we know the proper design of hardware and software protects us from our mistakes. Those who point the finger and say “pilot error” seem to abide by the standard of “If a military trained pilot with 10 years of experience could possibly have saved the aircraft, then it’s user error!”. This is completely ridiculous. If a 70 year old was driving down the road in their Buick and the power steering and power brakes failed, would you blame a resulting accident on the lack of ability to be a professional driver? As with any machine, the operator has responsibilities. However, in the case of consumer products – and many camera drones are being marketed as such – the manufacturer should use all of the Best Available Technologies to help protect the operator, the public and the machine. Drones are, in general, not warranted against crashing and loss. This is due to the obvious – that hobby and toy aircraft being operated in various conditions by the general public are subject to misuse and error. One company, 3D Robotics, tried to offer a “we’ll replace it if the crash or loss is our fault”, but quickly learned that such a policy is not sustainable. Within a few months of launch they started using excuses such as “you flew too close to trees and houses”. Square Trade tried an experiment with extended Drone warranties…and that failed also! At the present, there are at least two companies offering “drone crash” insurance – DJI and Neary Aerial. DJI offers it in a program called DJI Care while Neary Aerial, a 3rd party repair firm, offers insurance to cover most major brands. Neither policy, however, covers a complete loss…so when you fly regularly over large bodies of water and lose your drone, don’t expect a replacement to be forthcoming. Some manufacturers offer a substantial discount on a new replacement drone. This is probably a good policy when the crash or loss seems to be mostly the fault of the pilot. In such cases, the maker still recoups their cost (and often more) and ends up with a satisfied customer. At the same time, the discount offered (30%) are not large enough for the situations where fault can be assigned to both the operator and the manufacturer. In these cases, it would seem that a discount of 50%, perhaps off a refurb model, might help both parties. In the end, though, there is no such thing as 100% customer satisfaction with the new breed of aerial robots (yet). Some customers expect too much – some not enough. The squeaking wheel may get the grease so a more troublesome consumer may get better relief than a more fair one. Aerial Robots are complex machines which often contain millions of hours of programming in addition to 100’s of intricate parts…all working together to achieve the miracle of flight. Human beings are even more complex – and the combination of the two makes for some mishaps and misunderstandings. Knowledge is the key to understanding the real answer to “whose fault is it?”. Drone pilots should embark on a program of continuous self-education so that they know their machines. However, even educated pilots cannot avoid crashes and losses when faced with defective or poorly designed products. Knowing exactly where the line falls…that’s a question for the lawyers and the ages. As with all things, if you are worried…buy extra insurance! More importantly, take extra care.